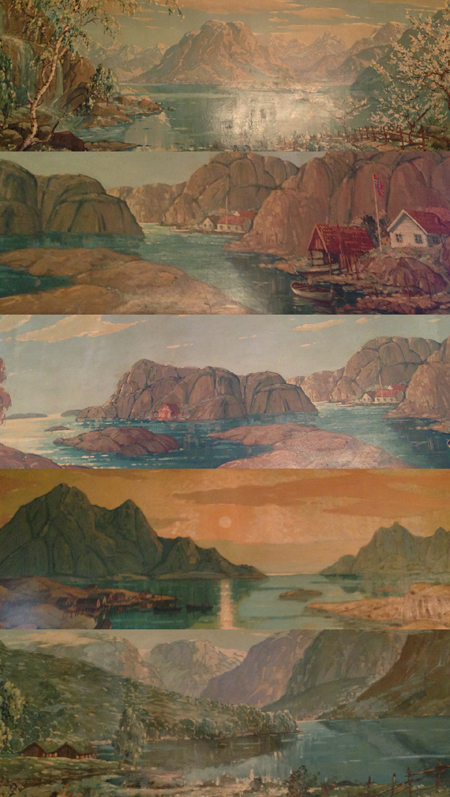 This collage is from photos I took yesterday of my most favourite paintings at the Norwegian Hall. They are huge and high up so almost impossible to shoot from below, so I cropped out the curtains and toilet signs - but small like this just does not do justice to their faded beauty. They are by NILS ANDERSON (1897 - 1972), born in Drammen Norway, came to South Africa in 1911. He is also responsible for the painting of the dioramas at the Durban Museum which I love with a passion too.